Cologne - After a solid start to the campaign, 1. 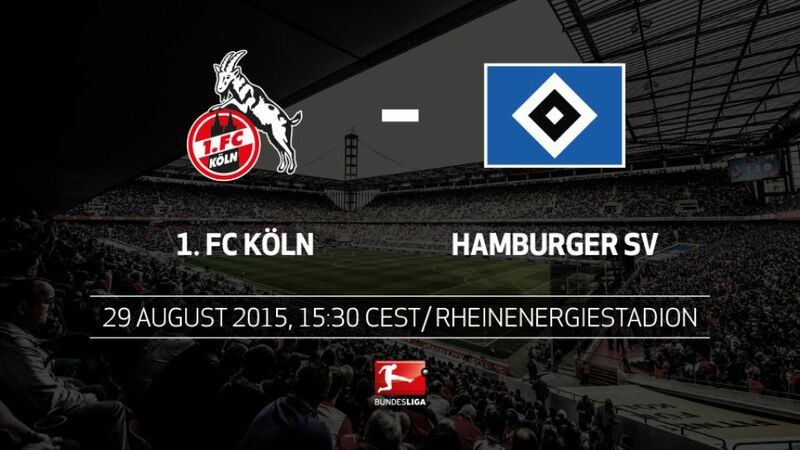 FC Köln can extend their unbeaten start to the season to three matches when they host Hamburger SV at the RheinEnergieStadion on Saturday (kick-off 15:30 CEST). Peter Stöger's side could conceivably be joint-top of the table after two rounds of matches. After a clinical 3-1 win away at VfB Stuttgart on Matchday 1, they dominated last season's runners-up VfL Wolfsburg for long spells, only to concede a late equaliser in a 1-1 draw. Hamburg were victorious in one of their opening two matches of a season for the first time in five years.HSV have scored three goals so far this term. They needed eight matches to reach that figure in 2014/15.Köln are yet to concede a goal from open play this season.Bruno Labbadia is unbeaten as a Bundesliga coach against the Billy Goats (four wins, three draws).Anthony Modeste has scored three in three against Hamburg in the Bundesliga.Köln have kept a clean sheet in their last two matches against HSV. The last time they secured three shut-outs in a row against the northerners was at the beginning of the 1990s.